The LUCKUP Kids Shelf Bookcase is an elegant way to display and organize your child's or teen's room, this versatile bookcase provide room for all your child's books as well as toys movies music photos and other personal items. The bottom of the Bookcase features an open compartment making it a great spot to place larger toys blocks or even shoes. The Kids Bookcase works well in both boys and girls rooms and offers an attractive storage solution that will help ensure their space stays neat and tidy. 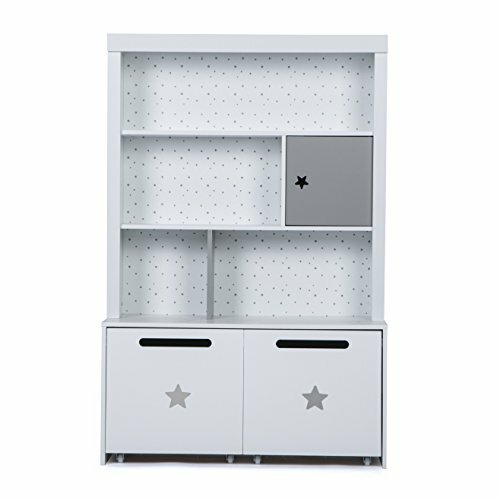 The LUCKUP Bookcase is suitable for children ages 4 and up.Bookshelf requires assembly by yourself. (Takes about 1-2 hours). Without sealing side,non-toxic environmental protection, fire prevention performance is good.